The Dominican brothers working at St Dominic Church, Limete, Kinshasa, DR Congo were attacked together with their parishioners on Sunday, December 31, 2017. They were attacked by security forces of the Democratic Republic of Congo made up of soldiers and the police. The Catholic bishops of the Democratic Republic of Congo, supported by a coalition of civil society groups, called for peaceful demonstrations after Sunday Mass on December 31, 2017, to denounce a new electoral reform law that came into effect on December 25, and to mark the first-year anniversary of the 31 December 2016 political agreement, facilitated by the bishops. President Kabila, whose mandate ended in December 2016, had agreed to set an election date by the end of 2017 to ease tensions in the mineral-rich country. However, the country’s election commission has now said that the vote cannot be held until December 2018. Critics accuse Kabila of postponing elections to maintain his grip on power, causing tensions to increase and provoking violence and deadly street demonstrations across the country since the end of 2016. The government refused permits for the December 31 demonstrations for what it called security reasons, yet more than 160 churches in many parts of the country participated in the call. Police responded with teargas, rubber bullets and even live ammunition. At least seven people were killed and many others seriously injured. Many were also arrested. 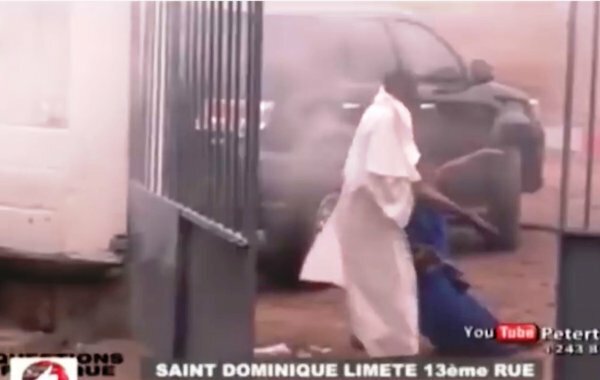 Several police came to St Dominic’s Parish in Kinshasa, run by our Dominican friars, and fired on parishioners in the church grounds and even inside the church. One woman was shot in the forehead by a live bullet, others in their legs, and a friar, Jean Nkongolo, was shot in the face at close range by a rubber bullet. Another demonstration was planned for Sunday, January 21. Let us show solidarity with our brothers and sisters in praying for justice and peace in the DRC.